Heat oven to 375°F. Spray 8-inch square (2-quart) baking dish with cooking spray. 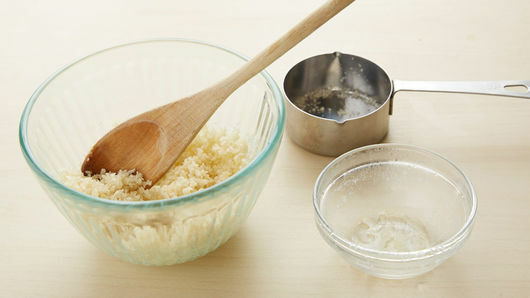 In small bowl, mix melted butter and bread crumbs until well mixed. Set aside. In baking dish, mix chicken, rice, salt, pepper, garlic powder, chicken broth and 1 1/2 cups of the cheese until well mixed. Bake 45 to 50 minutes or until rice is tender and most of the liquid is absorbed. Sprinkle remaining 1/2 cup cheese and the bread crumb mixture evenly over rice mixture. Bake about 5 minutes or until crumbs are light golden brown. Sprinkle with chopped parsley. Don't use instant rice in this recipe, as it will lose its texture when baked. Serve this delicious main dish with a fresh garden salad or cooked broccoli. 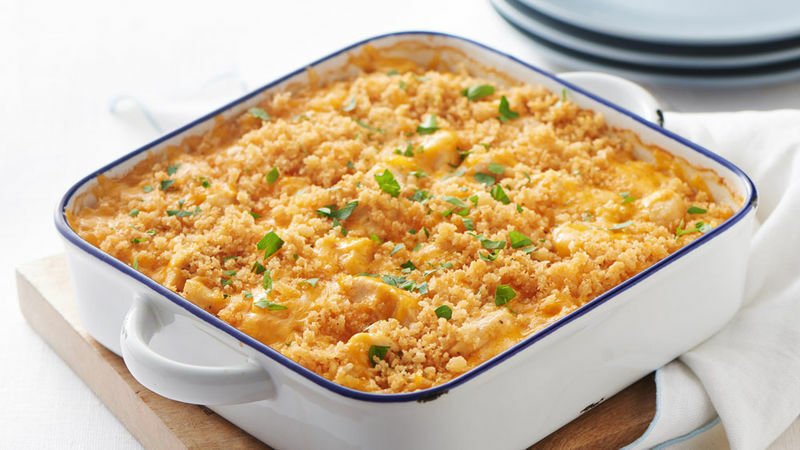 This Garlic Cheddar Chicken Bake is a chicken casserole that will make waves at your next potluck. 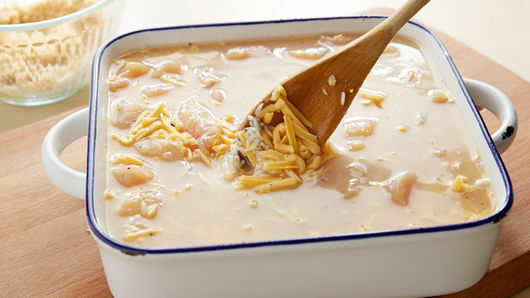 With only 10 ingredients, this dish combines the rich flavors of bite-sized chicken tenders, rice, Progresso chicken broth, garlic and oh-so-good cheese. On the off-chance you have leftovers, don’t worry—this cheesy chicken bake is refrigerator-friendly and reheats well, so you can eat leftovers the next day. While National Garlic Day is April 19, this dinner can be shared with your family any night of the week. For more family dinners that feature your favorite bird, check out our easy chicken recipes and bring the “bawk” back to your table.